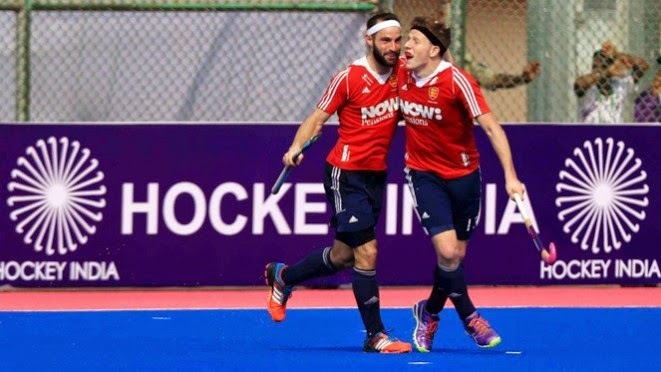 The Hero Hockey Champions Trophy in Bhubaneswar kicked off with a big surprise as England defeated the reigning world champions Australia 3-1 (2-0). Debutant Sam Ward scored twice in his England debut with Alastair Brogdon adding another to secure a deserved win for the world number 5. England had the better start into this game with Brogdon scoring the opening goal in the 6th minute. He won possession in the circle and defeated Kookaburra goalie Andrew Charter with a powerful backhand stroke.